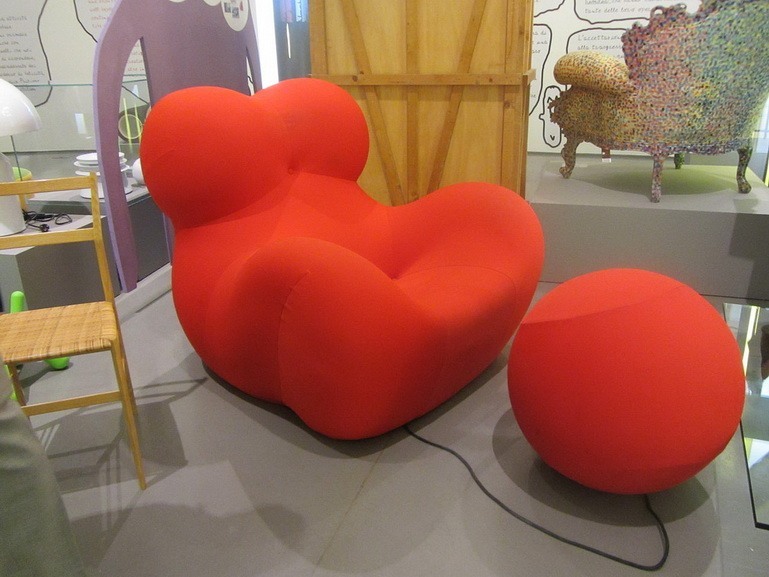 The famous Italian designer Gaetano Pesce was commissioned to create a new work for the Milan Design Week. He decided to produce a large version of his famous Up armchair, marking the 50th anniversary of the brand conceived by him in 1969. It is definitely not an everyday object because of its proportions, but because of its shape, made to resemble female features. Namely, Pesce decided to produce a critically charged work by covering the chair, ie. the female torso, with arrows and wrapping a large ball reminiscent of chains. The eight-meter-tall installation Maestà Sofferente (Suffering Majesty) aims to criticize the patriarchy according to Pesce,yet shortly after it was revealed on 7 April in Milan’s Piazza del Duomo, it caused quite a controversy. 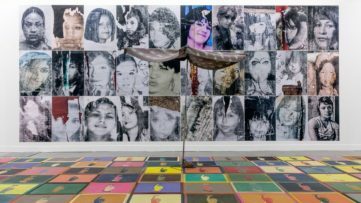 The feminist group Non Una Di Meno fiercely reacted by protesting in front of the work, holding slogans Ceci n’est pas une femme (this is not a woman), texts by the US art activists Guerrilla Girls, and the statistic of femicide in Italy. The women claim that Pesce’s installation perpetuates violence against women. No wonder that one of the reactions was an intervention of the artivist Cristina Donati Meyer, who threw red varnish on the seat to resemble menstruation in order to remind the designer that he essentially referred to a woman as a piece of furniture. Gaetano Pesce is an Italian architect and a pioneering designer of the post-war period. Already in the mid-1960s, he came to prominence with innovative designs while working closely with Gruppo N, an early architectural collective fascinated with programmed art of the Bauhaus. 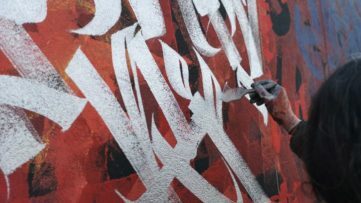 Ever since, his career has been constantly growing and alongside architecture, he simultaneously worked as an urban planner and industrial designer. 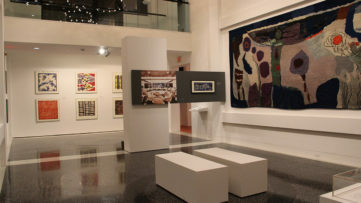 Pesce’s practice is characterized as humanistic and progressive, and his methodology was and still based on the inventive use of materials and colors, as well as highly modern, witty and stylish design; the architect-designer was prone on maintaining a strong connection between the individual and society through various artistic disciplines. To be more precise, Pesce gained international recognition for his explorations of the function and form of furniture, jewelry, and shoes. All of his designs reveal appropriation and interpretation of abstraction and homogeneity and reflect his deep interest in history, humor, and high-end craft-specialization. Around 1968, Gaetano Pesce devotedly searched for new material, and so he came up with the idea to embrace the characteristics of a sponge and use it to manufacture a chair. The architect-designer started experimenting with polyurethane, which was the latest hi-tech material at the time, and so he developed the iconic model – a four-inch-thick disk which will unfold in a comfortable chair after removed from its PVC package. 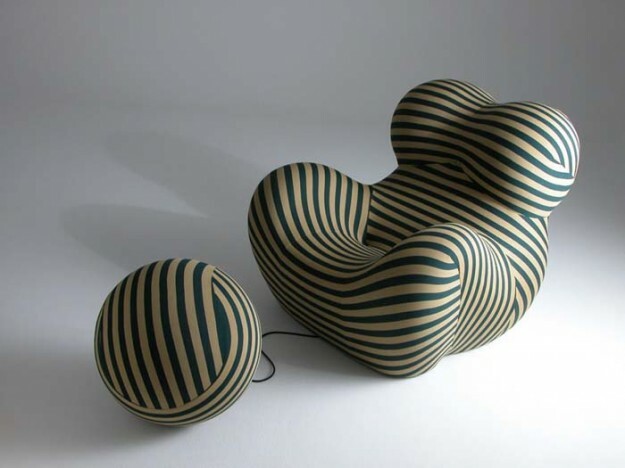 Accordingly, Pesce titled the new design Up; it was not a typical seat because of the bulbous shape inspired by the silhouette of an ancient fertility goddess and accompanied by an ottoman resembling a ball and chain. The famous Italian furniture brand B&B (then known as C&B) produced the chair the following year and placed it on the market. The quick success was granted because of its two main features – it was modern and easily transported. Nevertheless, in 1973 the manufacturer stopped producing Up shortly after they discovered that Freon, the important substance mixed with polyurethane to achieve the mass, was harmful to the ozone layer. Despite that, the chair gained quite a reputation and was even called Big Mama, La Mamma, and Donna, and practically five decades later B&B introduced a Freon-free version in 2000. Gaetano Pesce once stated claimed that chair is “an image of a prisoner”, since “women suffer because of the prejudice of men”. However, it seems that the chair was proclaimed as feminist by Pesce himself, probably for marketplace purposes. The fact that it resembles female features and refers to the ancient goddess does not imply it is a feminist chair, meaning that we are facing the perfidious product placement strategy. Here it is important to add that the decision to present the Up chair as something feminist could be interpreted in the context of time. Namely, the late 1960s were marked by the consolidation of the Second wave of feminism and general empowerment of women which was related also with the global phenomenon of 1968 student protest. By having that in mind, we could conclude that Pesce wisely used the moment and the social tendencies to promote his product as a socially engaged one. Even if all the stated above is a mere suggestion, and Pesce really is a dedicated feminist, the recently presented installation in Milan is quite banal; the renowned designer would be expected to deliver a conceptually well-thought and bold work, in order to communicate the problems women face every day, and this one might not be called that. Featured image: Gaetano Pesce Up Chair in Milan Piazza Duomo during the Design Week in April 2019. Image via Instagram. miart Milan 2019 is Coming in Strong!